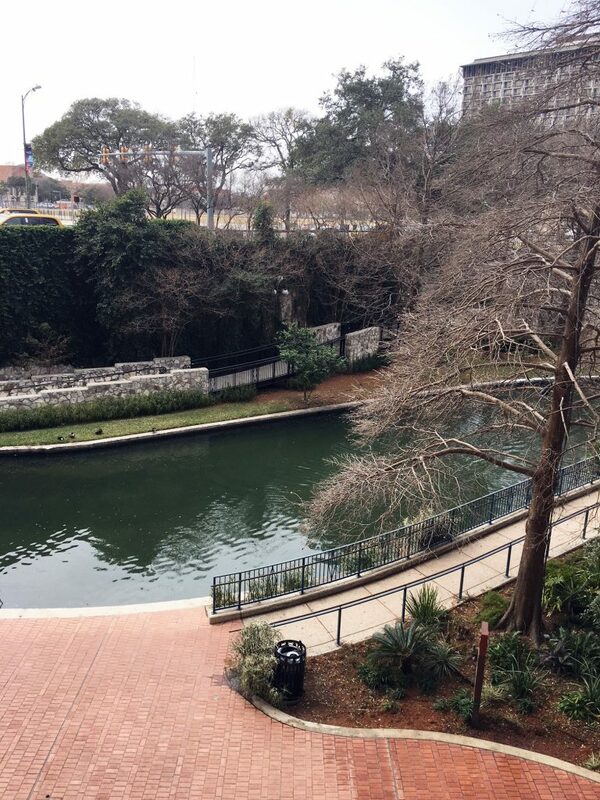 Despite the cold weather, we had a wonderful stay at the Marriott Riverwalk in San Antonio. 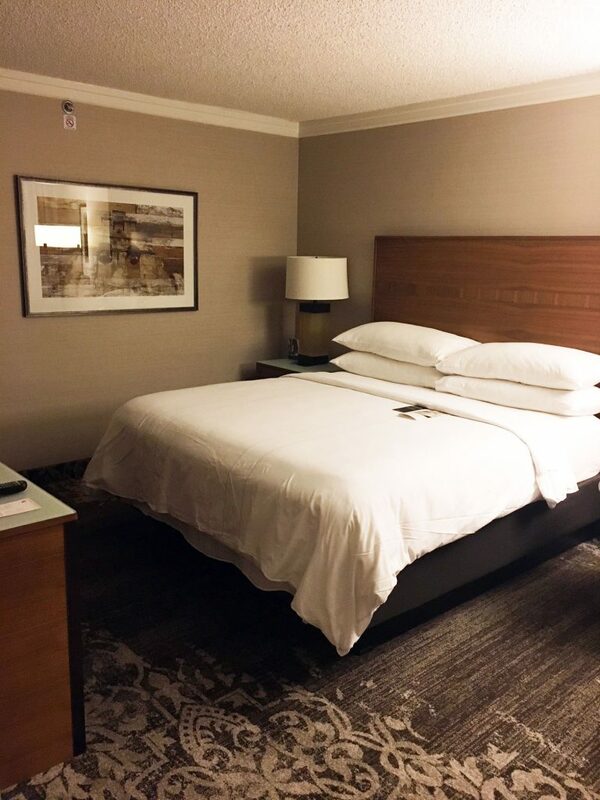 With a fabulous location and top notch service, our two days in San Antonio was wonderful. Location is key and we were in the perfect location. 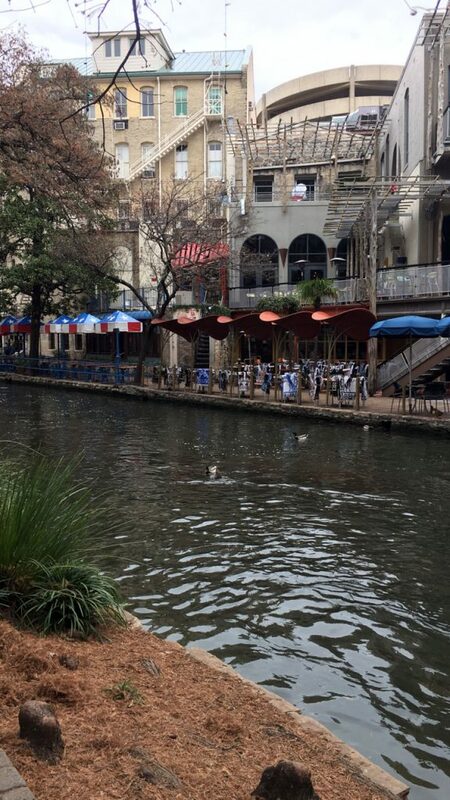 The hotel is located conveniently on the Riverwalk. We were able to leave the car for a couple days and just walk to wherever we wanted. 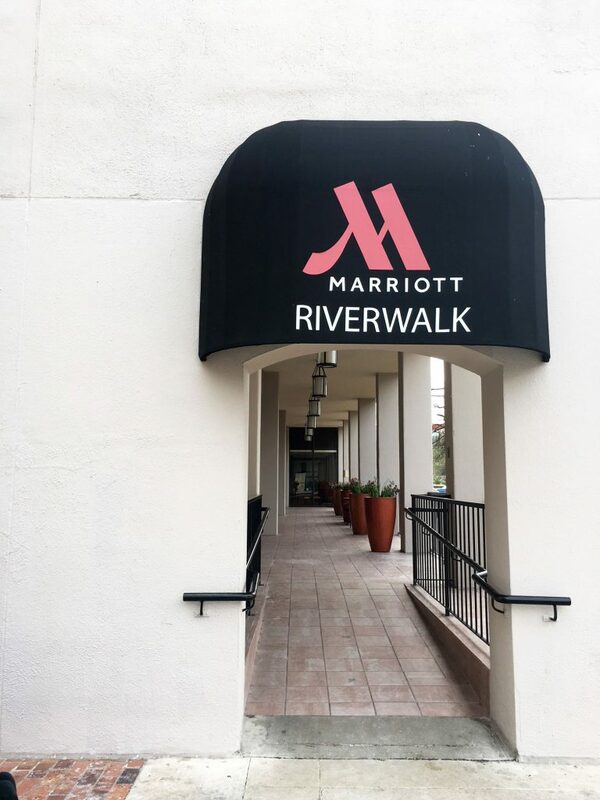 The hotel is located across the street from the Rivercenter Mall, so if you’re looking to shop, it is very convenient. 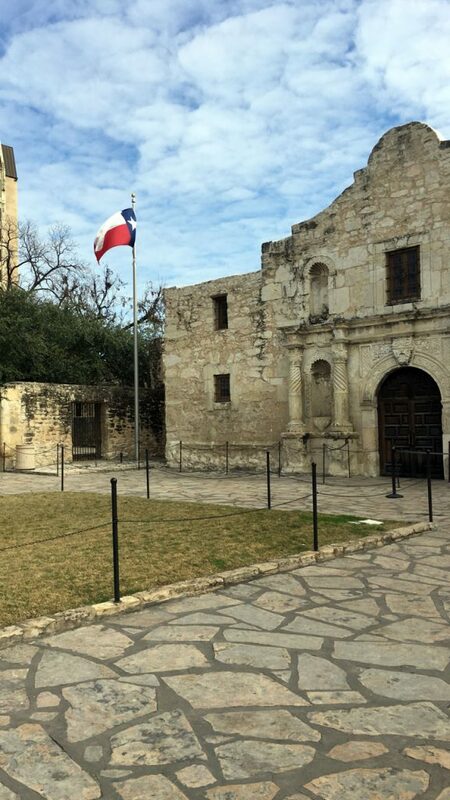 It is also close to The Alamo, just a short walk away. It was so easy to walk to La Villita, a historic arts village and even some of the museums like Ripley’s. The kids had fun there and it was a great way to escape the cold. 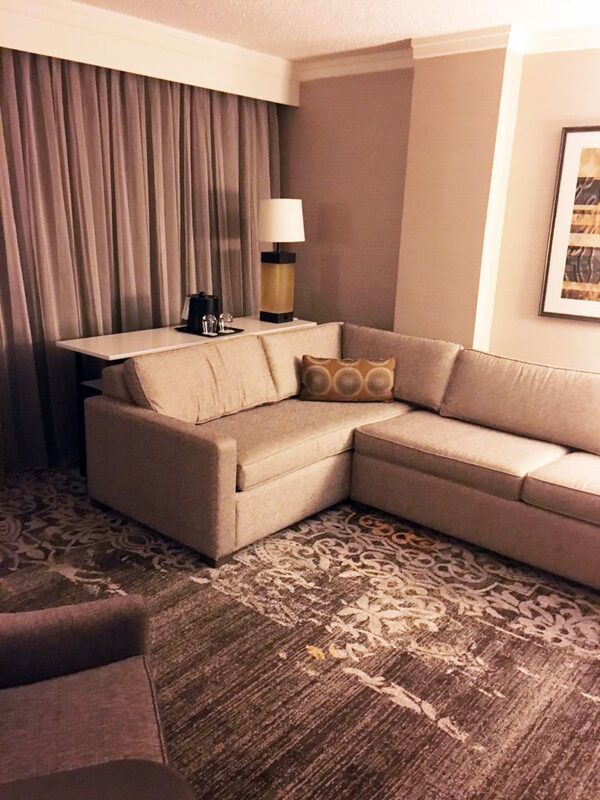 We stayed in the executive suite where we had a large living room as well as a king size bedroom. It was more than enough space for four people. The sofa in the living room had a pull out couch and was perfect for the kids to sleep on. 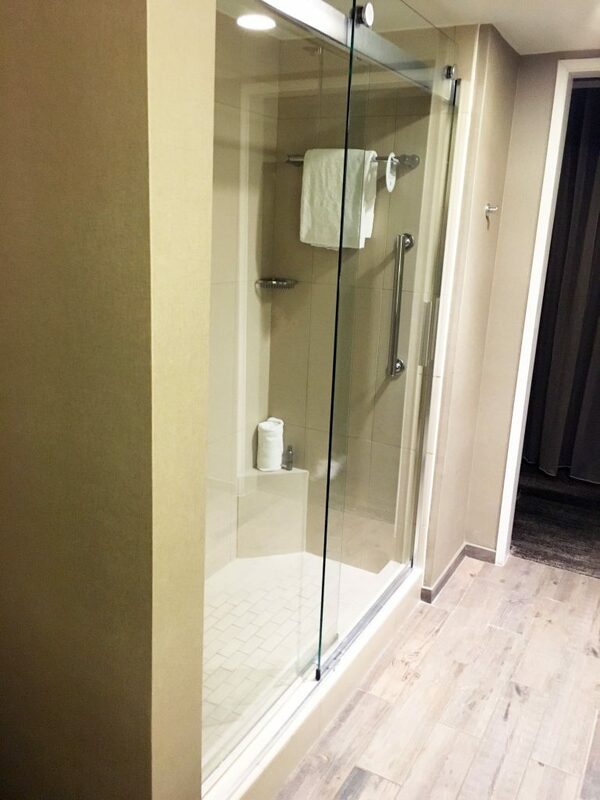 The room also had a large bathroom complete with a walk in shower. 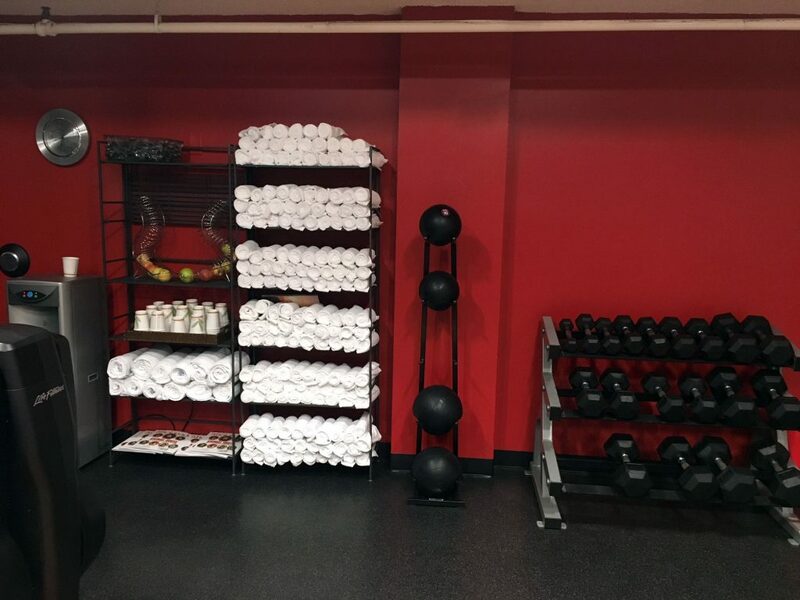 The only thing that was missing was more hooks to hang up wet swim clothes. If that’s the only complaint, I’d say that’s pretty amazing. 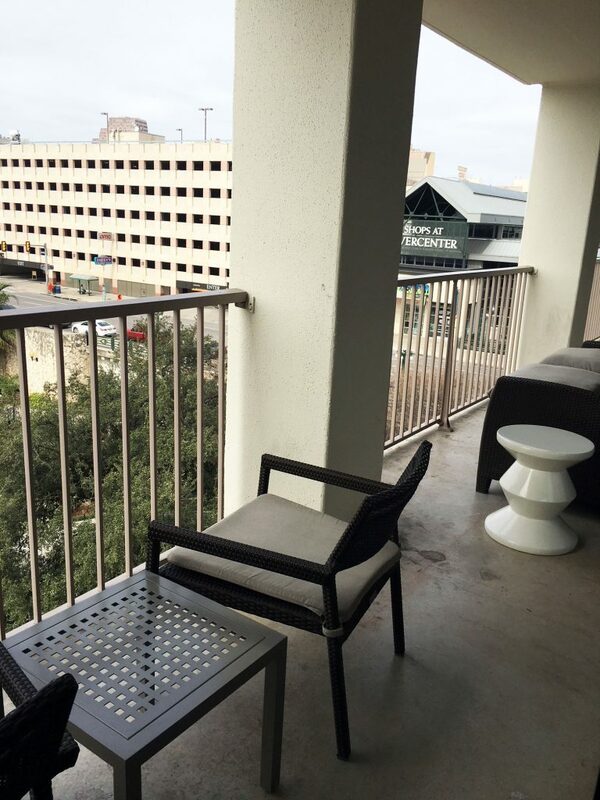 Our room had a large balcony with a view of the Riverwalk and the Rivercenter. It would have been a lovely place to sit on a warm day. We were thrilled that we were on the same floor as the swimming pool. This made the kids very happy. 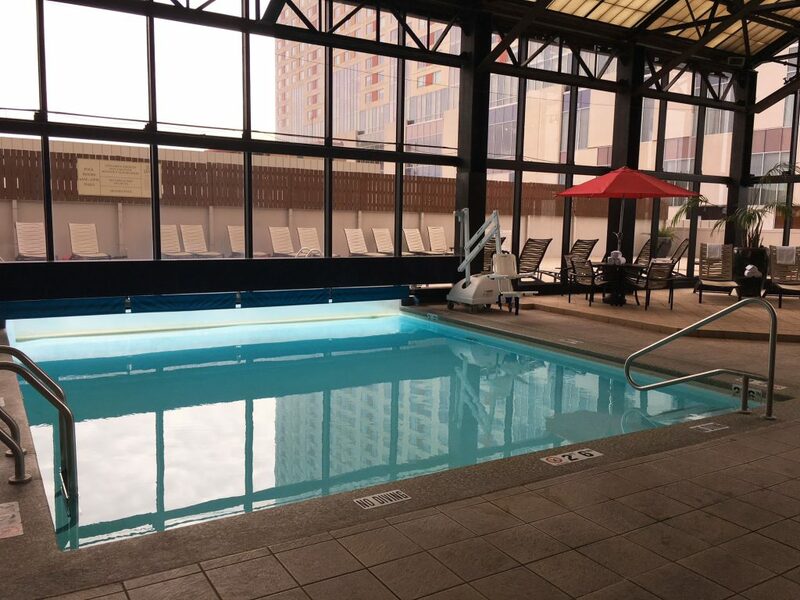 With the cool weather, we were grateful that the hotel’s pool was indoors. 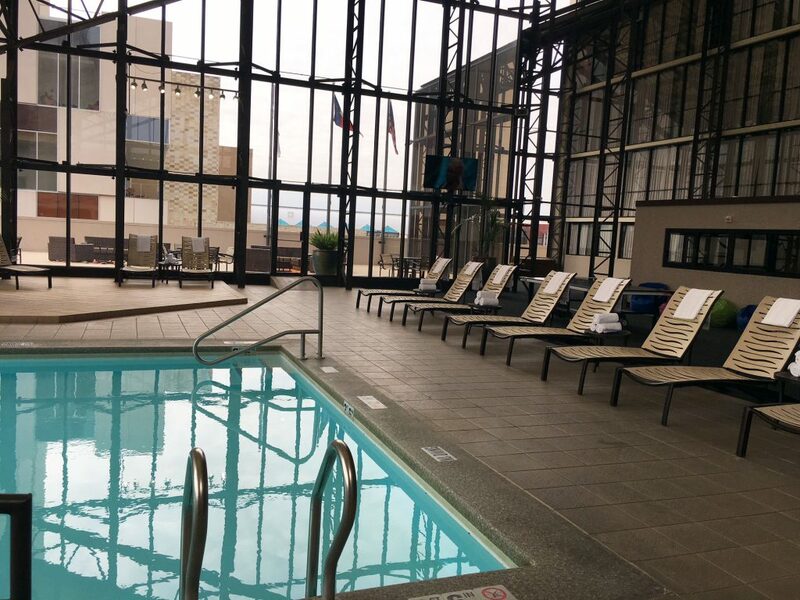 It actually had an opening so that the pool could be enjoyed outdoors as well, when it was warmer. The space was flooded with light with their floor to ceiling windows. There were lots of loungers for guests to enjoy and even a ping pong table. 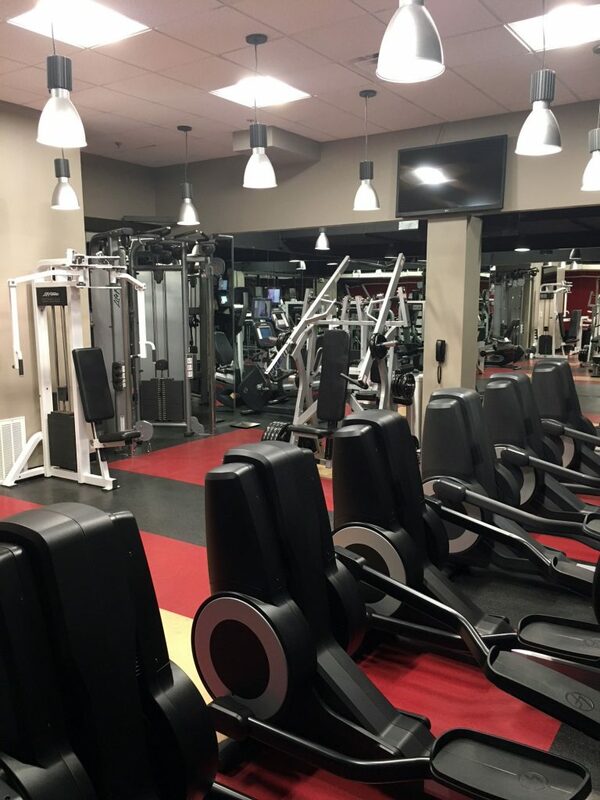 The hotel also had a fitness center so that you can stay on track even while on holidays. 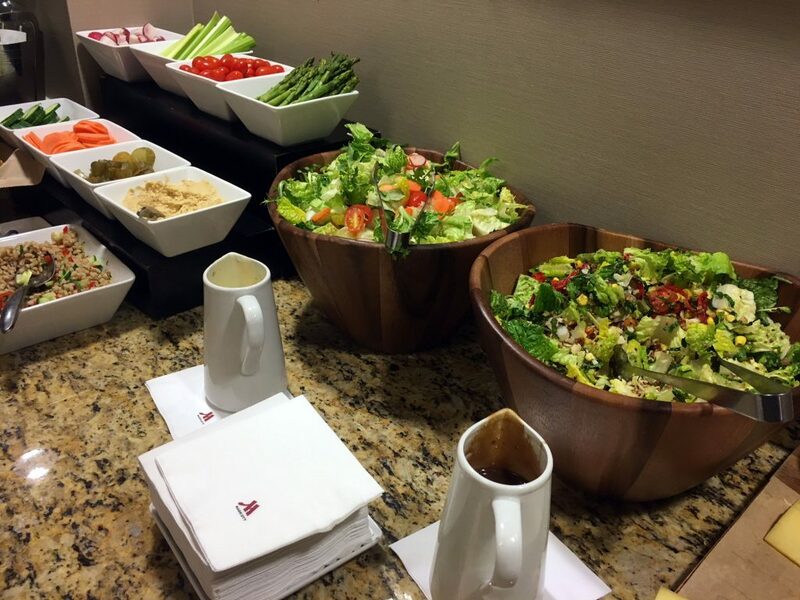 With the hotel being centrally located, there was no shortage of places to eat in the area. However, it was so convenient that the hotel had a restaurant on the main floor. 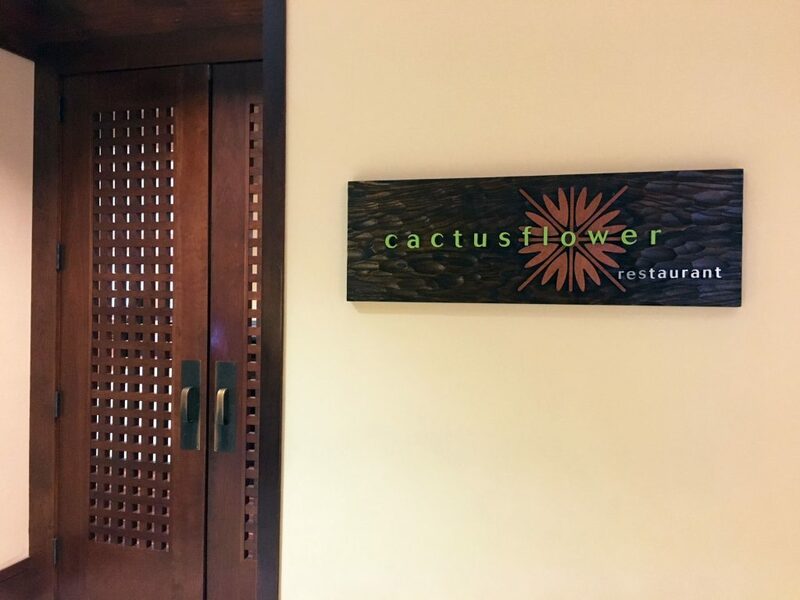 The Cactus Flower was the perfect place to grab breakfast. 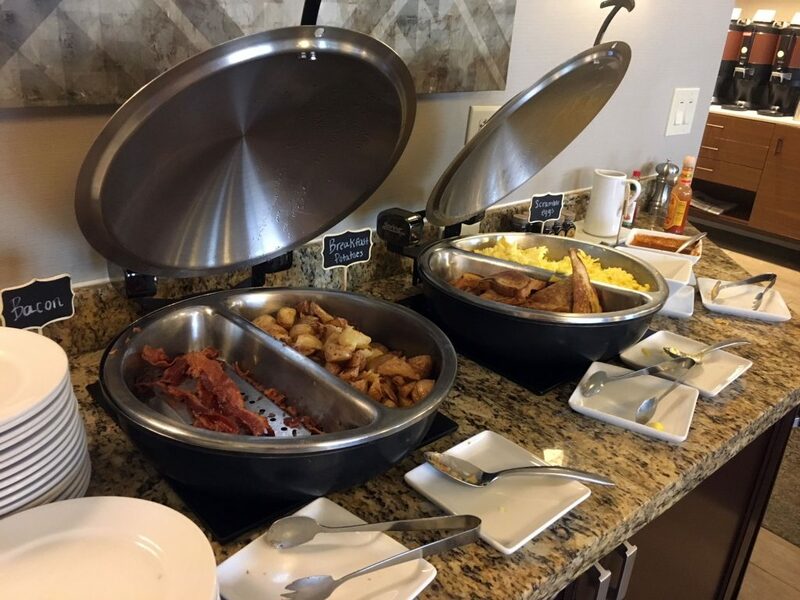 Our late arrival meant we were a little slow in getting moving in the morning and a delicious breakfast in the hotel was just what we needed. If there’s an eggs benny on a menu, it’s usually my go-to. 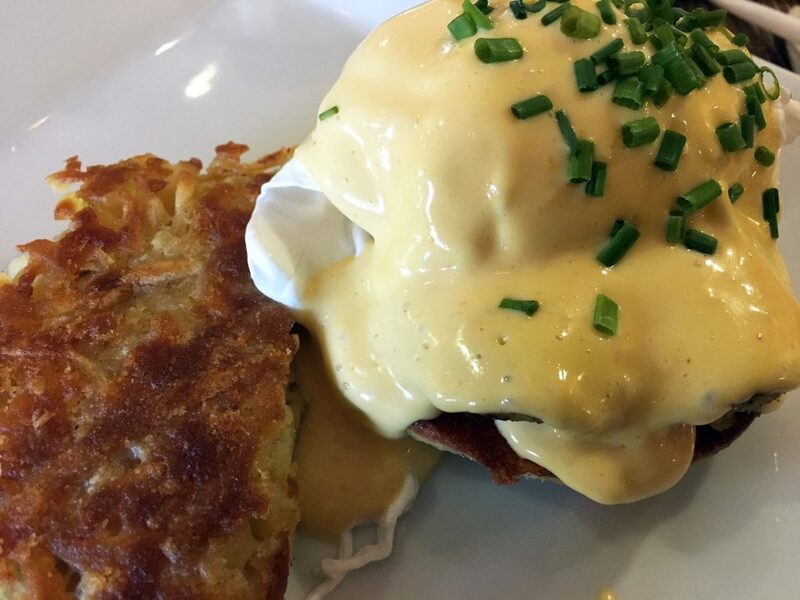 The eggs benedict was cooked perfectly and topped with a silky hollandaise sauce. Hubby ordered the Braised Beef Short Rib Hash. 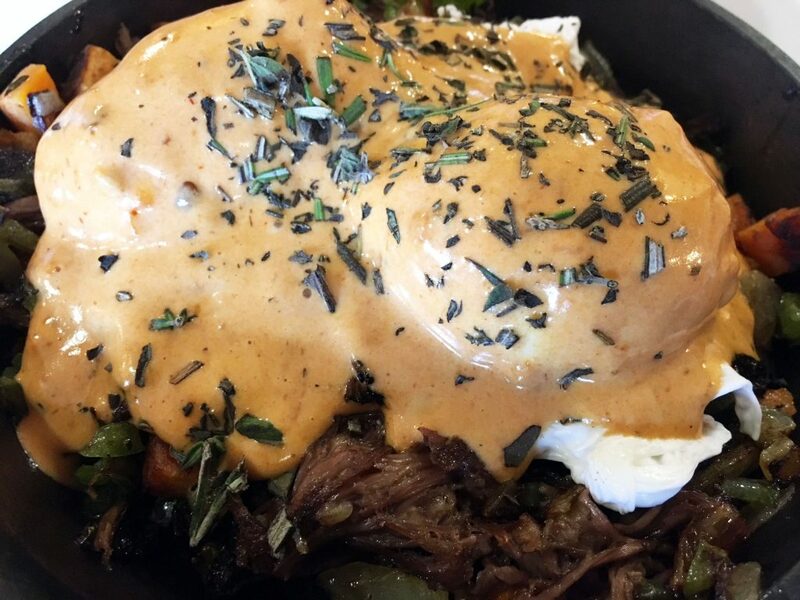 The tender beef topped some potatoes and vegetables, all of it smothered in a chipotle hollandaise. 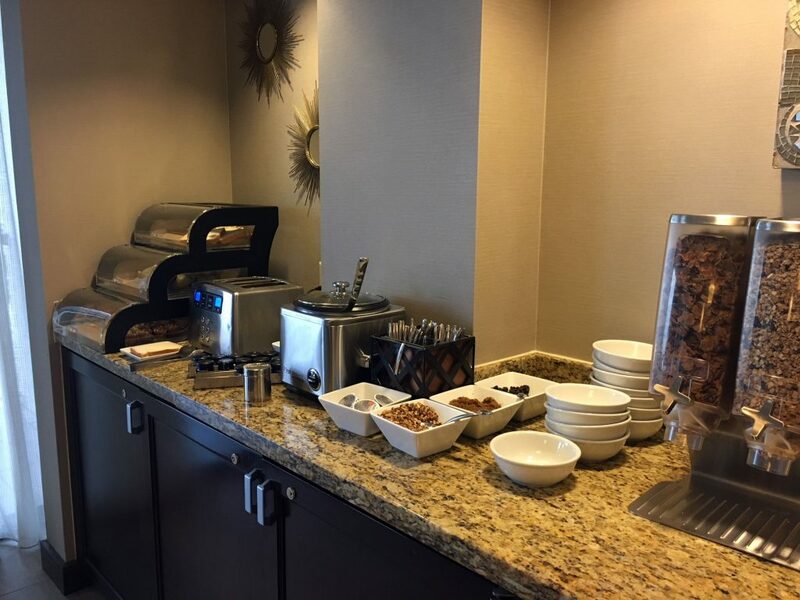 We were very grateful that the hotel had given us access to the concierge lounge. The convenience of having access to drinks and snacks was huge, especially when travelling with kids. 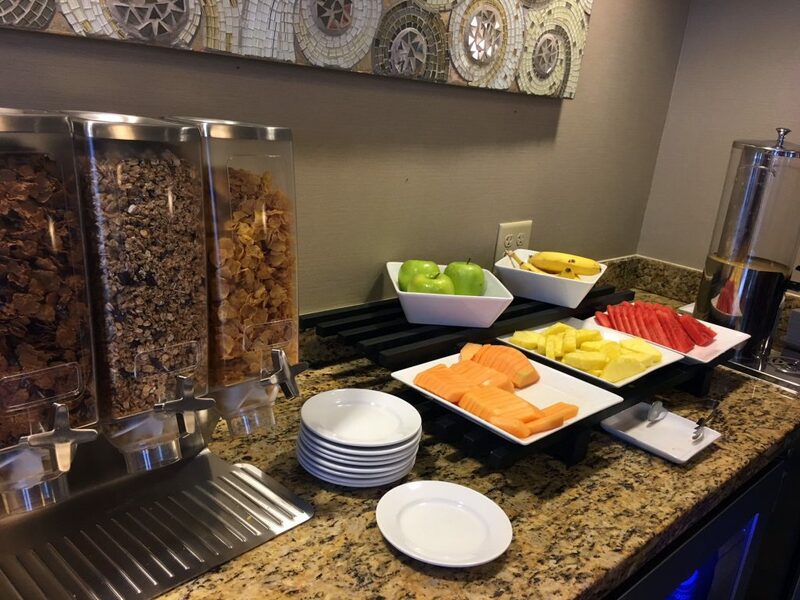 A continental breakfast was served every morning which included fruit, cereal and toast. It also included hot items like eggs and french toast. There was also food served in the evenings and boy was it delicious. 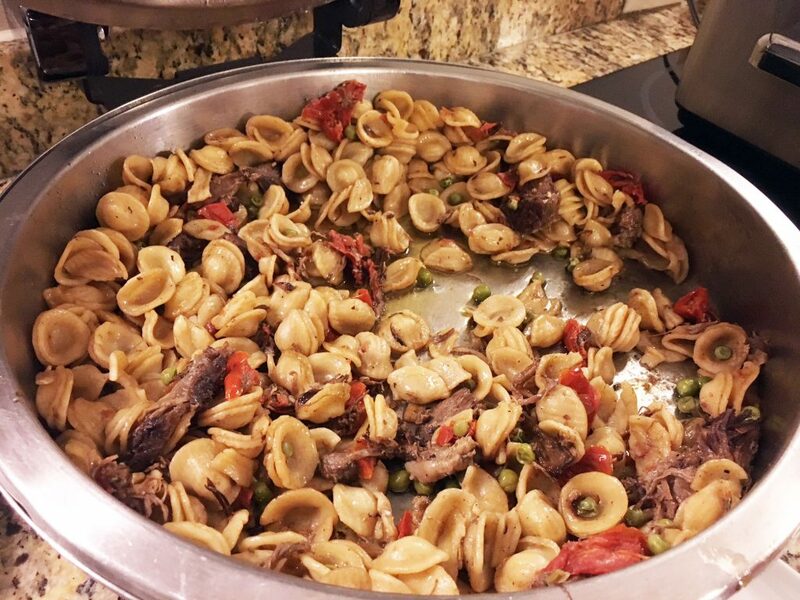 The evening we went, we enjoyed some short rib orechiette. Even my child who doesn’t like pasta loved it and went back for more. The chef gave me the recipe that I’m excited to share with you soon. It was a fun couple of days! 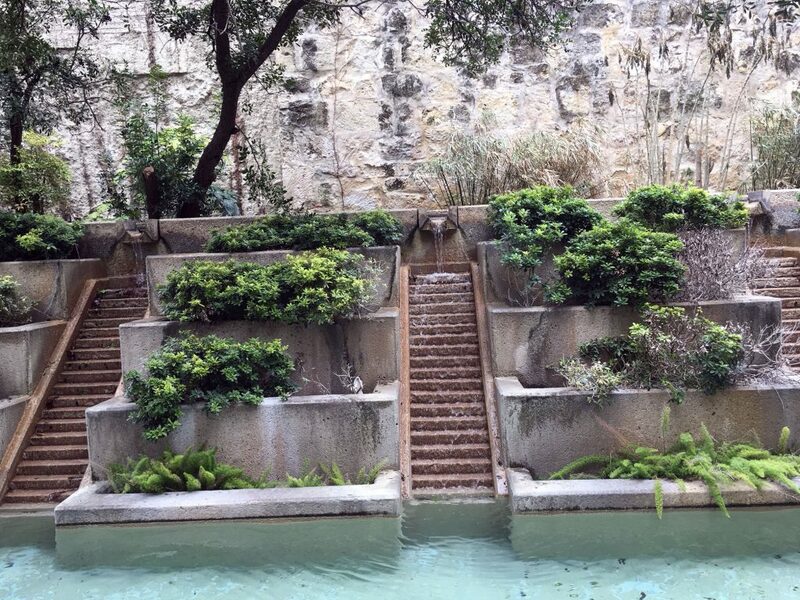 If you’re in San Antonio, I would highly recommend staying at The Marriott Riverwalk.